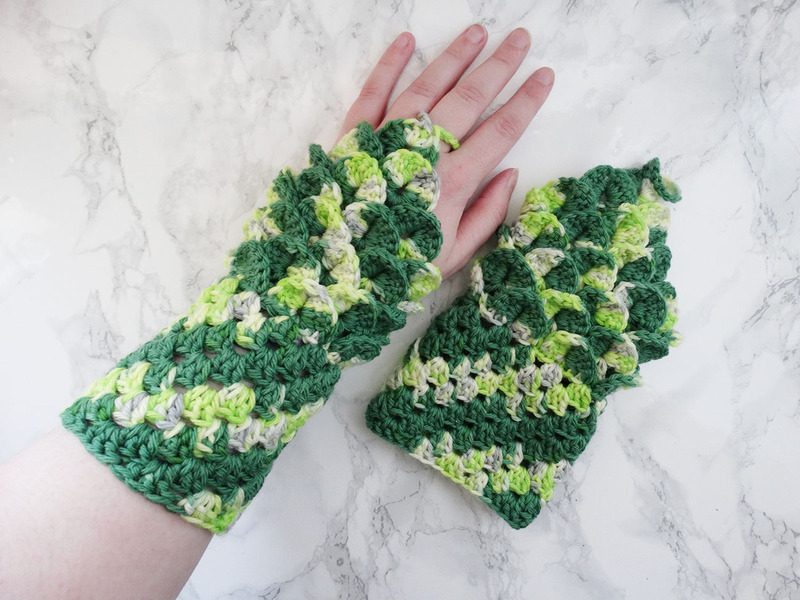 A quick crochet make to show you today – you may remember some granny dragon gloves I made for myself a while back (if not, do check that post out because the yarn I used that time was so pretty!). Well, I bought some yarn for my sister’s birthday, not for her to use but so I could make something for her and I gave her a few ideas of what I could make with what I had. 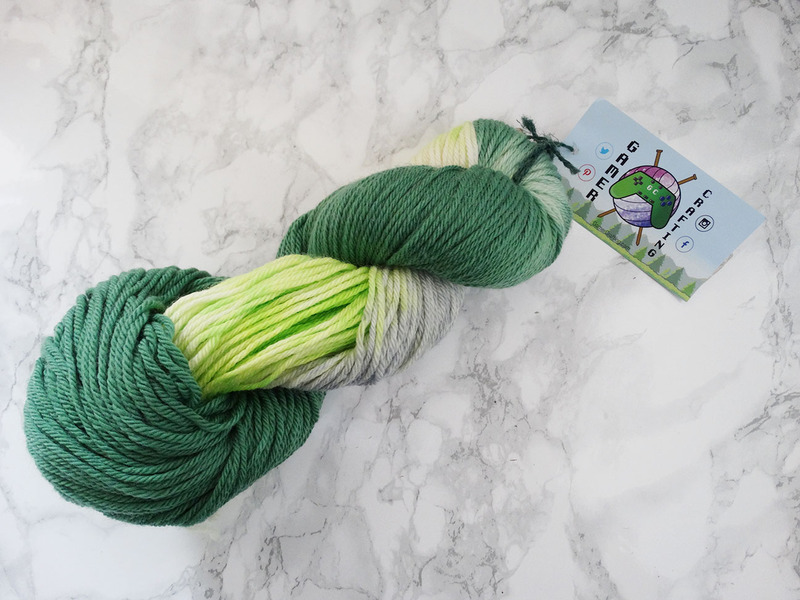 I found it on Etsy because I was looking for Harry Potter themed yarns and stumbled across a UK based shop called GamerCrafting that does pop culture inspired colourways. Even if you’re not into the thing the yarn is inspired by, the colourways are just gorgeous! Anyway, this particular yarn that I got was Slytherin inspired on called Cunning so that’s why I got it for my sister. I gave her some ideas of what I could make and she settled on gloves and when I gave her a few glove ideas, she requested something that didn’t cover the palm of her hand. I’d already looked up dragon scale gloves when I wanted a pair for myself and altered some standard patterns I’d come across until I had what I liked so I simple copied what I’d done before – only for mine I was using a lighter yarn whereas here I was using DK weight. The DK yarn worked up nicely though and these gloves ended up being really quick to make – I made them in an evening. They might not be the best gloves for keeping your hands warm but they look great least and you can still type perfectly fine while wearing them…okay, someday I’ll make gloves that keep hands warm, it’s just these ones are fun to make!